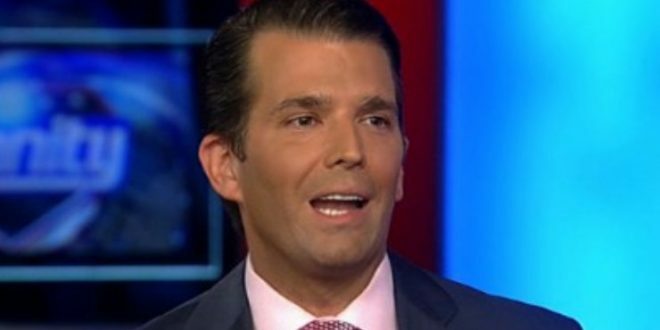 Junior To Give Foreign Policy Speech With Indian PM - Joe.My.God. Beginning Tuesday, the junior Trump will have a full schedule of meet-and-greets with investors and leading business leaders throughout India where the Trump family has real estate projects — Mumbai, the New Delhi suburb of Gurgaon and the eastern city of Kolkata. An unelected member of the Trump family who supposedly doesn’t work for the White House is going to give a foreign policy speech with a world leader while selling luxury condos and selling the privilege of speaking to him. Gosh, a crazy person might consider that a giant honking conflict of interest.